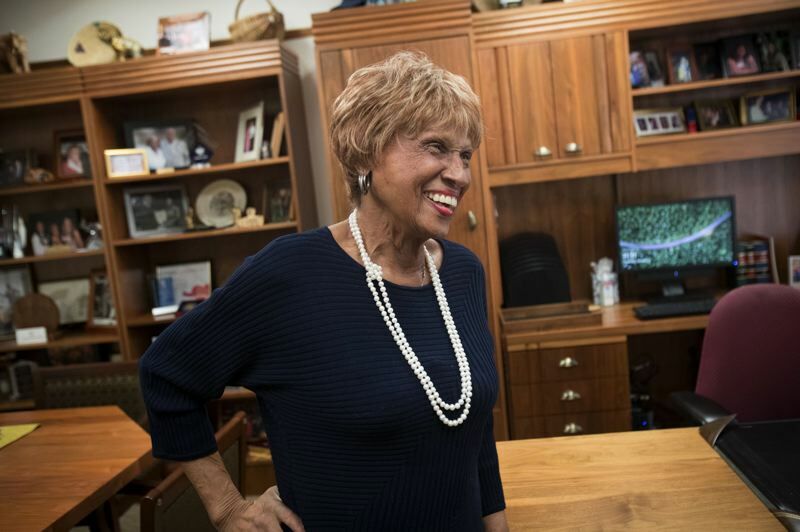 When state Sen. Jackie Winters hears the word "felon," she often thinks of her late husband, Marc "Ted" Winters. Her husband, who died in 2008, had a prestigious career in the gubernatorial administrations of Tom McCall and Bob Straub. But before that, he was one of thousands of inmates in Oregon's state prisons. His catapult from a prison cell at the Oregon State Penitentiary to the governor's staff is a story of redemption. His path has been an overwhelming influence on the Salem senator's work to reform the criminal justice system and improve inmates' chances of rehabilitation. "I think we forget about the whole issue of redemption and forgiveness when we are dealing with the criminal justice system," said Winters in an interview at her Salem legislative office. Her commitment to justice reform prompted her to give up her role as Senate Republican leader at the end of 2018. Winters, a Christian, said she believed in redemption before she met her husband. 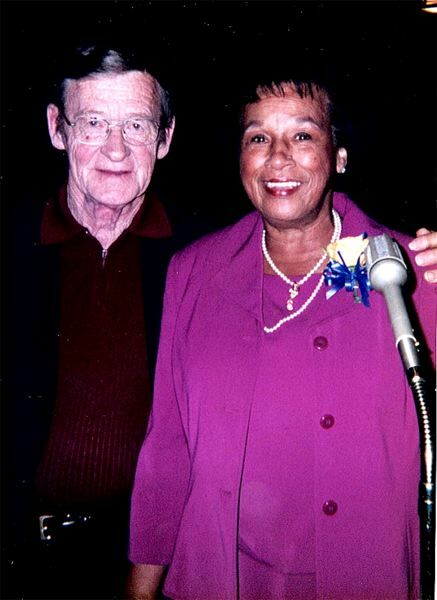 Before their relationship turned romantic, Ted and Jackie Winters saw each other through their respective jobs. 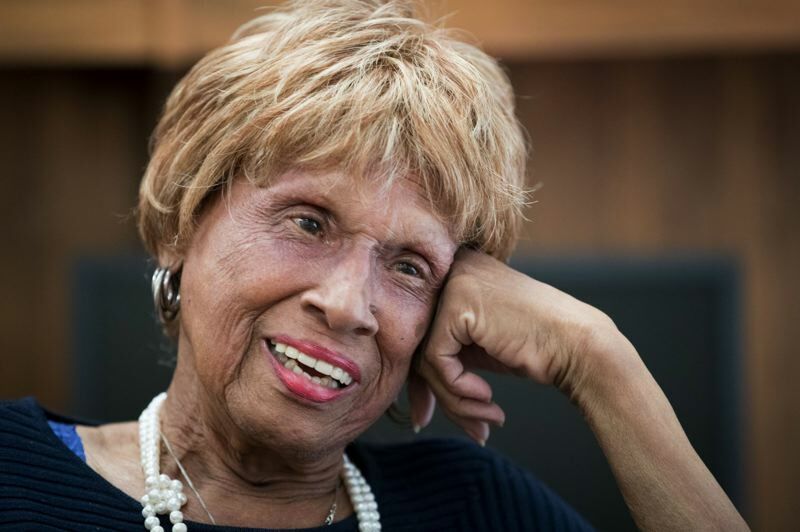 Once at a meeting for Model Cities, where Jackie Winters worked at the time, Ted Winters sat next to her. A pastor, her friend from childhood, saw them together and admonished Winters for allowing a convict to sit next to her, she recounted. 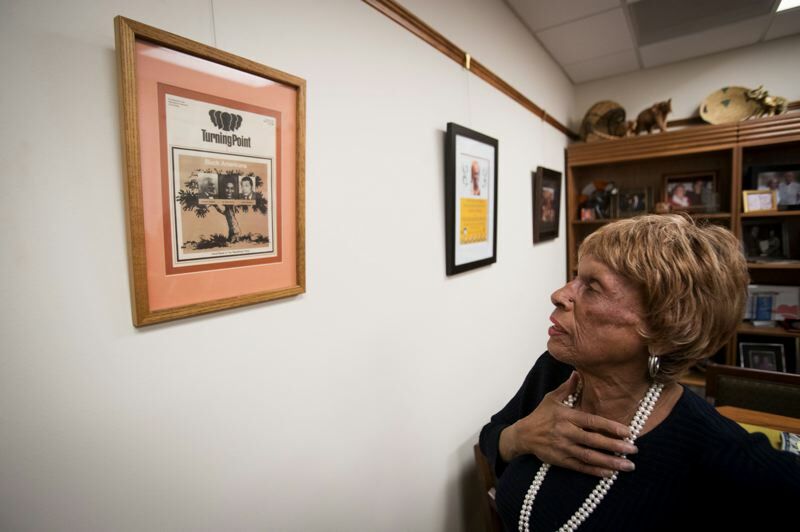 "I lashed out at my minister friend for being unchristian and for not giving another human being a chance — a chance that we as blacks could understand so well," Winters said in her husband's audio book, "Never Kill Lions." Early in Winters' career, her race and gender created obstacles to getting the kinds of jobs she wanted. Former inmates, she noted, have similar obstacles when they try to secure housing or employment. In one of his two autobiographies, Ted Winters tells of a meeting with Jackie Winters, whose name was Jackie McClain at the time. 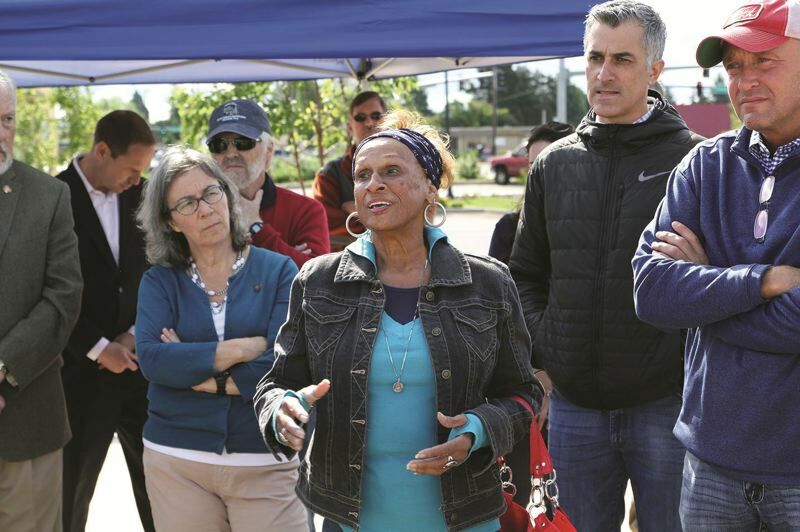 Ted Winters was tasked with building stronger ties between McCall's office and North Portland's black community and visited Jackie McClain at her Model Cities office. When McClain learned that Winters was from the governor's office, she asked him to tell McCall he needed a black woman on his staff. "And if he can't find one, I'm available," she said, according to Winters's book, "Lifer." By 1969, she was hired for McCall's State Economic Opportunity Office. 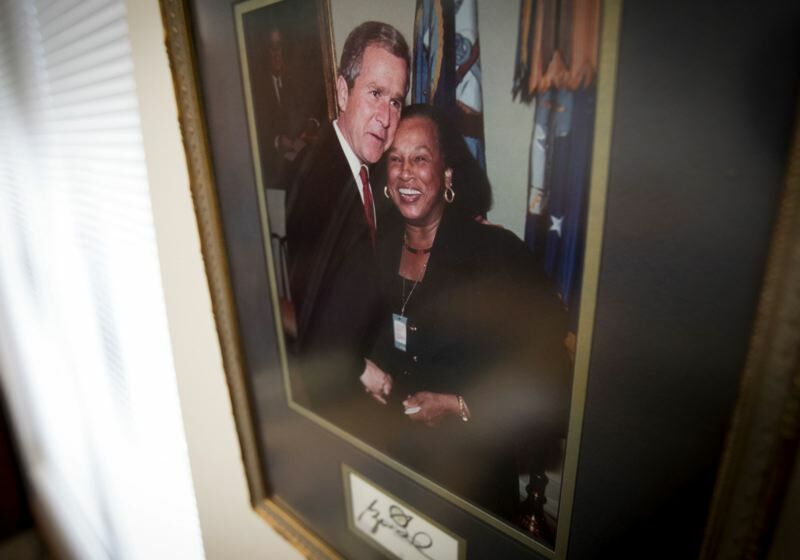 She was elected in 1998 to serve in the House of Representatives, making her the first black Republican to serve in the Oregon Legislative Assembly. In 2002, voters promoted her to the Senate. In November 2017, Winters became the first African-American legislator to lead an Oregon legislative caucus. She was elected as Senate Republican leader to succeed Sen. Ted Ferrioli of John Day. Winters' commitment to justice reform sometimes put her at odds with members of her party, and last month, she decided to move out of leadership. She maintains that Republicans support justice reform, but she was the only Republican to sponsor one of the most controversial justice reforms of the 2017 Legislature. House Bill 3078 reduced prison sentences for property thieves. The majority of Senate Republicans voted against the bill. Some Republican senators said they couldn't support the bill because sheriffs and district attorneys in their districts opposed it, and they argued the changes could jeopardize public safety. Winters doesn't accept those arguments. She said it wasn't hard to go against her party because she believes rehabilitation of inmates, versus incarceration for the sake of punishment, benefits society and makes people safer. The law reduced the number of women serving time for property and drug crimes, in part to spare the need for a second women's prison. The law also advanced the state's goal of diverting more criminals from prison to social services, such as drug and alcohol treatment. Clackamas County District Attorney John Foote challenged the law in court. He argued that legislators had illegally circumvented voters who mandated the longer sentences in Measure 57 in 2008. 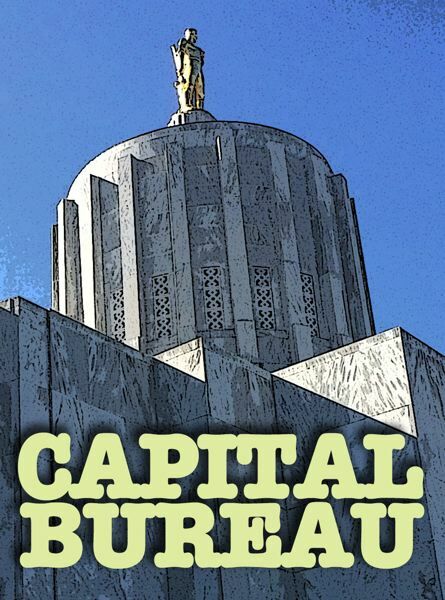 The reform legislation had subsequently passed with a simple majority of the House and Senate, but the Oregon Constitution requires a two-thirds majority to overturn a voter-approved measure, Foote argued. The Oregon Supreme Court heard arguments in the case in September, and Winters was there for the hearing. A decision is pending. "Legislators don't usually attend arguments on laws they have passed," said Phil Lemman, spokesman at the Oregon Judicial Department. Lemman said he remembers only one other instance in the past year when a legislator attended state Supreme Court arguments. Winters doesn't think sentencing mandates make sense. "Sometimes it's counterproductive," she said. "When a person has changed and their behavior has changed, there should be a way — whether it is the court takes another look — of changing that (sentence) so they can become a productive tax-paying citizen." Winters won a fourth term in the Senate in November. At age 81, this could be her final term. She wants to use the next four years to focus on justice reform and expanding programs that prevent incarceration by providing treatment for drug and alcohol abuse and mental illness. People with mental illness "don't belong in prison," Winters said. She is part of a Behavioral Health Justice Reinvestment Steering Committee convened by Senate President Peter Courtney to recommend policies this year to keep people with mental illness out of prison. "Right now, (justice reform) is my greatest passion," she said. Winters also wanted to return to her seat on the powerful Joint Ways & Means Committee, which determines much of state spending and where she said she can influence spending on justice programs. She said she had been on the committee since she was sworn into the House in 1999. She is sponsoring several justice reforms in legislation before the 2019 Legislature. Her priorities are creating a domestic violence commission to streamline services between agencies and justice reform for juvenile offenders. "If I had my wish list, we would be on the front end of prevention so we are not getting individuals in the system in the first place," Winters said. "We have 14 prisons in Oregon, and all of them are 1,000-plus. Wouldn't that be much better dollars spent on educating and preventing individuals from getting in the system in the first place?" She also would like the state to adopt policies that have proven effective at reducing recidivism in Norway. Winters and Rep. Jennifer Williamson, D-Portland, were part of a delegation of state and Department of Corrections officials who traveled to Norway in 2017 to see how that country's prison system works. Inmates there are expected to work and study, Winters said. They can earn advanced degrees while still in prison and have a chance to work for a year in any discipline in which they have received training, she said. Winters knows personally the power of faith in rehabilitation. In 1973, a McCall aide handed Jackie Winters an envelope. It contained her husband's pardon. In it, McCall wrote: "It is incumbent upon the state of Oregon to give appropriate recognition to this reformation … as a demonstration to others that no man or woman shall be deemed beyond redemption."